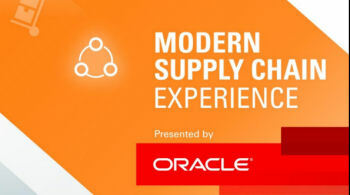 As a follow-up to Supply Chain Matters recent attendance and coverage of this year’s Oracle Modern Supply Chain Experience Conference, we wanted to specifically follow-up on some sessions that addressed Internet of Things (IoT) enablement of future smart manufacturing, supply chain and service management business processes. Noted in many of our prior blog commentaries related to IoT deployment strategies, many businesses are starting to connect the dots relative to the existing wave of new advanced technologies that can literally allow connecting physical things with digitally focused applications, processes, and new business services. Included are the notions of what is commonly described as Industry 4.0, or the fourth industrial revolution, enabled by more sophisticated sensors, additive manufacturing, new iterations of analytics and data management. The common objective is convergence- a convergence of operational technologies along with data management, business applications software and decision-support technologies working together in an integrated real-time manner. When this author presents or speaks with supply chain management focused audiences, I often describe the objective as what I once termed as the “holy grail” of supply chain management, our ability to connect the physical and the digital, now coming much closer to reality. In Oracle’s approach to supporting customer IoT transformation, multiple speakers emphasized the importance of the overall IT architecture strategies required in addressing the different needs at the physical layer (the machines), and the digital applications layer of applications and information needs. We cannot stress how important these strategies and approaches have been addressed in multiple conferences and discussions we have been involved in. The obvious most important consideration is the management of data at each level. Are there patterns of events that tend to cause or lead to actual equipment failures? Is there a correlation between product failures in the field and the manufacturing process originally used to manufacture that product? Can we predict the likelihood of a product defect and avoid costly downtime? Many developers on the front lines of current IoT initiatives will readily tell you that the challenges related to filtering and capturing the correct physical data, whether structured, unstructured or time-series in-nature are hard, but not insurmountable. 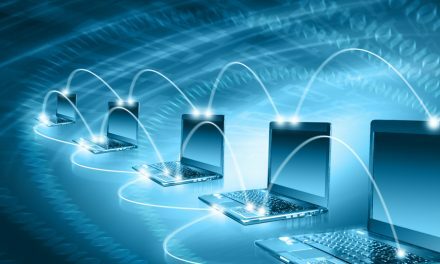 A current reality is that most physical or operational assets currently reside behind a data-protected firewall, for valid reasons. As we have noted in prior commentaries, developers cite consistent and secure data management standards as well as combinations of encryption technologies as the means to unlock data discovery across various layers. Oracle emphasizes the need for a robust and scalable technology foundation supported by an open standard, in-memory, Hadoop data lake approach that supports three distinct data types in a secure manner. A further critical aspect often includes distinct data aggregation at both the physical and digital application layers, each aggregation providing added contextualization to overall intelligence and required decision-making. Managing all this data needs to further include a more cost effective approach, and that is where the advantages of Cloud-based deployment and storage strategies play an important consideration. Some of our functional or IT readers who experienced prior IT data warehouse approaches can well relate to the frustrations for the ability of various functional users to mine or discover data on their own without the direct assistance of IT. We were pleased to observe that Oracle’s approach is anchored to presenting of data to differing personas or business roles, ranging from that of occasional or frequent business user or domain expert, to an actual data scientist. What most everyone has today is an operational report of what has occurred, namely descriptive analytics. For example, 68 percent of batches of strawberry jam made in July, incurred a production yield of between 78-82 percent. The mixer speed variation was in a certain range and ambient humidity reading but did encounter some discernable variations. This added context of the data provides the intelligence as well as determinants to manage higher manufacturing yields or identify potential production issues in a timelier manner. These are the notions of mining the data, that can be applied to many other supply chain related business processes or business model support needs, many of which can save substantial amounts and open many new opportunities for equipment services. A final observation relates to current IoT approaches and pilot efforts perhaps being investigated. In the many technology and industry perspectives we have reviewed or encountered, it is important to stress that teams evaluate prospective IoT technology vendors not only on the specific technology approaches and capabilities they provide, but also on the partner ecosystem they recruit and support, along with actions to adapt and support an open standards approach for data security as well as data maintenance.